Our most important business, known generically as “You, Inc.” has gotten off to a good start if we have mastered the first four money management skills: goal setting, planning, organization, and record keeping. Now we need to complete the package by learning the other three: allocation of resources, evaluating, and decision making to make us a successful financial manager. Without my saying it, I think most people would see a difference between the first four and the last three. The former skills are more generally used in all of life, are understood at least somewhat by most people, and so can be more readily applied to the financial area as well. The latter skills, even decision making to an extent, are not so common. To be successful as a financial manager, though, it is especially important to take time to understand and learn to apply these last three money management skills as well as the former ones to our personal financial affairs. There is possibly no area where you can do more to change your financial life in a dramatic way than you can by learning how to allocate your personal financial resources. In the business world this is a given. In personal finances it is almost unheard of. In fact, when I say that effective money management requires a careful allocation of resources many people will respond to the suggestion with a one word question, “Huh?? ?” You may possibly be one who is still wondering what in the world I am talking about. If so, pay attention. You are about to learn something really powerful. Getting in control of your money is the key to everything. All of the ideas we talk about are only talk if we cannot make sure that the money we have coming in actually goes where we really want it to go. We will have to be somewhat specific in our discussion here to make it clear just what we are talking about. 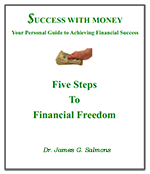 In this discussion resources primarily means money such as cash from a paycheck or Social Security check. You allocate this money by using some organizational method such as putting your income into a checking account or into a wallet from which specific designated individual expenses (and nothing else) are actually paid. The essential element is allocating or putting a specific amount of money into each specific spending account in such a way that it is easily and clearly manageable. That word “manageable” is important; it means strictly controlled. If, for example, you need $200.00 weekly for food and other household items you could put that amount each week into a certain checking account or wallet and use that account for that purpose alone. You will always be able to see what is available and always avoid overspending. The essential element is allocating or putting a specific amount of money into each specific spending account in such a way that it is easily and clearly manageable. There are many financial management methods that I use for resource allocation and you may come up with others I have never heard of before. In fact, one of the reasons that we read little about this subject is that no one method works for everyone. People use checking accounts, savings accounts, envelopes, and a few can do it all (not me I assure you) with accounting methods on an Excel spreadsheet. It is essential that you learn what will work best for you. As the financial manager of You, Inc. you may be using at three or four different methods at any given time. Experiment a little. If you find one approach doesn’t work well for you, try another until you have found an easy, simple, and effective way to allocate all your income and other assets to specific uses. The important thing is to keep working at your systems until all income is allocated in an effective way. All expenses must have a payment source and each source must have adequate funding—an exact, assigned amount (no more or less). When you reach this point, with some excess every month allocated to long term savings and investments, you will be in total control of your money. And your success with money will be guaranteed. An important part of any business money management is evaluation. Bean counting, some people call it. As president and CEO of You, Inc. , it is important for you to learn how to measure and evaluate your personal financial management results. When a business loses track of things like cash flow they get behind on payments to suppliers and can’t get the stock they need to sell their customers. Or even worse, they can’t pay employees on time and they quit. Soon they are out of business. When individuals lose track of things like cash flow they get behind on payments, lose credit standing, end up paying high interest rates on credit cards and often end up far in debt or even in bankruptcy. And they may not even see it coming. Many people suppose that for a business the net profit at the end of a given month or year is the most important measure of business success but other measurements may be more significant. Net worth over time is slightly different and far more important than any one net worth statement. As you explore evaluation or measuring skills you need to look at several different tools, plan to use several, and always be open to consider unusual circumstances. Sometimes even net worth can suffer when something good is done. For instance, during the construction of a new facility cash outlay may exceed the assessor's evaluation of the completed project, but the net effect of increased business may prove financially beneficial over time. The same is true for an individual. Training for a new job may be an expensive investment but certification for work in some special field may produce a much higher income. For this reason, as you explore evaluation or measuring skills you need to look at several different tools, plan to use several, and always be open to consider unusual circumstances. But be cautious, however. It is easy to rationalize overspending which has little honest justification. What should you measure regularly (usually monthly)? Always watch your net worth, especially over time to determine its rate of increase. Always total your savings and and retirement investments to follow growth patterns. Effective money management requires you to keep in mind your personal goals at any given time and design your own appropriate measurements. For example, if you are focusing on eliminating credit card debt one primary measurement would be the total of your credit card balances owed at the end of each month. Finally, use your measurements constructively. Don’t beat yourself up over inadequacies or shortcomings. Use your money management skills instead for planning. And let it provide occasions for celebration of your You, Inc. accomplishments. Finally, it is essential to learn effective decision making skills. There are many factors that affect good decision making. Unfortunately, many people (in fact most people) never develop these skills and as a result make many terrible financial decisions. Possibly the most important advice about decision making as a financial manager is the old adage to first of all trust your gut! In spite of the fact that people consistently get into trouble by ignoring those internal signals that something just doesn’t seem right about a financial deal of some kind, most people keep on going on anyway. And almost every time they live to regret it. If a car salesman seems a little suspicious, make an excuse and get out of there! OK, that’s obvious. But what if you get a feeling a financial adviser is looking out for himself more than you? Or what if you get the feeling that your CPA doesn’t really know what he is talking about? It is no different. Just say you will think about it and get out. Trust that little voice anytime it suggests something just isn’t right. The second money management skill to develop related to making good decisions is getting good information. We hear every day how we live in the “information age”. But while information is easily available, most financial decisions are made without even the most fundamental knowledge required to make those decisions effectively. Sometimes getting the right information is as simple as checking Consumer Reports. Recently we needed to replace our dishwasher. A simple check showed that one of the best models was also one of the least expensive, less than half as much as the only washer rated higher. A key guide to information gathering is to devote an appropriate amount of time to research based on the importance financially of the decision. Overall, as You, Inc. financial manager you need to devote an adequate amount of time to researching expenditures and investments, not making uninformed decisions. A key guide to information gathering is to devote an appropriate amount of time to research based on the importance financially of the decision. A woodworker who might devote a lot of time researching which chisel to buy might buy life insurance knowing no more than what is read in an ad or recommended by a salesman. A cook who might devote considerable time to selecting the right cookware, having decided on the need to open a retirement account might just ask a personal banker’s guidance and do nothing more to investigate options. But even if you spend a lot of time gathering information, it is easy to be mislead. If you were to determine you need an air purifier you could go to the internet and look for reviews. Sounds like a good idea and it is. But beware. Some of the very worst products may be given high rankings in what look like independent reviews online. Many if not most of the independent sounding organizations rating many products may be nothing but shills! They may be sales presentations by affiliate marketers or the manufacturers in disguise. Do searches with domains limited to edu or gov for more reliable information. And don’t think we are just talking about technical products (air or water purifiers) or expensive items! We are talking about all kinds of products and services. Learn to ask yourself questions and then seek out the answers. For example, is AARP an organization for older people? Or is it a front for selling insurance? And in any case does their focus on older people mean their insurance offerings are better for the elderly than what others offer? Do I have an opinion? Sure, but you don’t need and shouldn’t even want it in particular. If you are thinking about insurance get some facts. There are many other keys to effective decision making. Information must be organized, pluses and minuses balanced, and options compared. And there are numerous structures for guiding decisions.